So when I went back earlier this year I took a lot of photos. And next time someone asks me where I’m from and I get the feeling that they are REALLY interested, I’ll give them the link to this post. Here are some shots of the town centre. Here are some shots of cows which live very close to the town centre. This is one of the main employers, a South African paper manufacturer. I did an internship there when I was 18. It obviously kick started my career like you wouldn’t believe. 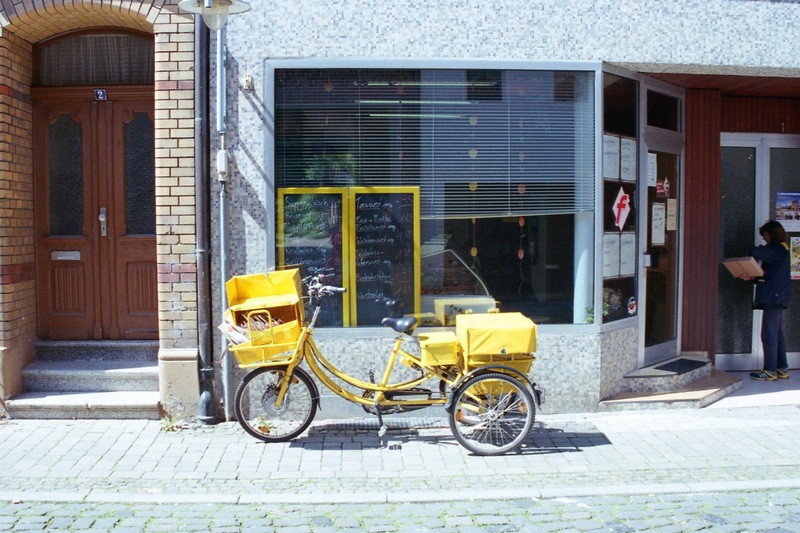 Not sure if you knew but the mail is yellow in Germany. 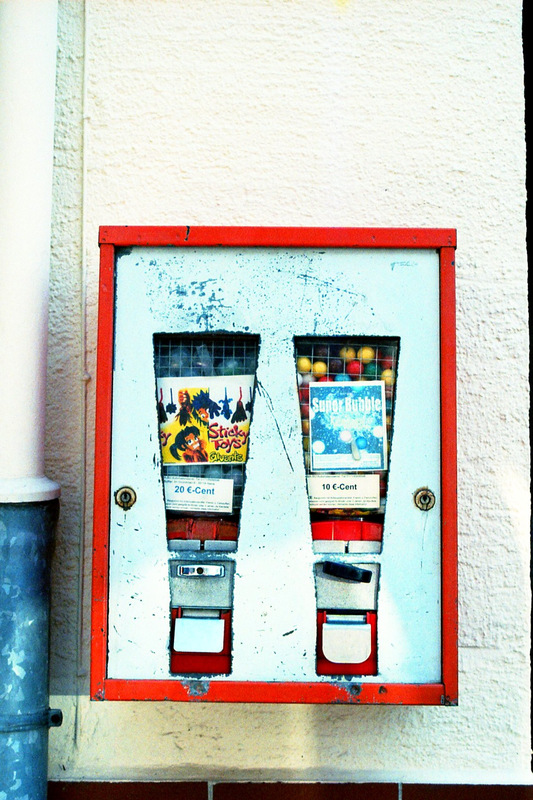 We still have these little vending machines all over the town. They’ve been around for as long as I can remember. You can buy bubble gum and sometimes little toys. I’m sure the gum is as old as I am. This is a new addition: an outdoor library! You can add books to it or take books from it. (We also have a real library with librarians and catalogues). I also wrote a post about das Alte Stadthaus in Alfeld. All photos taken by me with my Canon EOS 5000 on 35mm colour negative film. Ja Mensch, das sieht ja herzallerliebst aus! 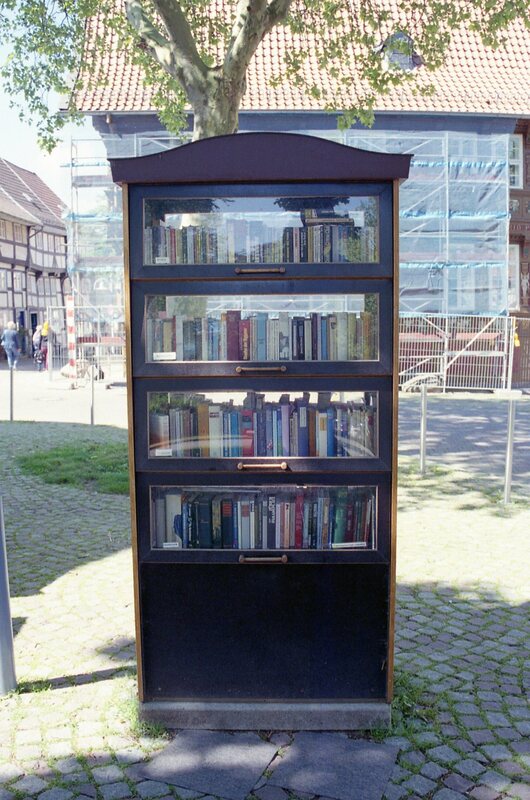 Vor allem dieser Bücherschrank in der Strasse begeistert mich ja. Wenn ich je mal nach Alfeld komme, nehme ich auf jeden Fall ein Buch zum tauschen mit.